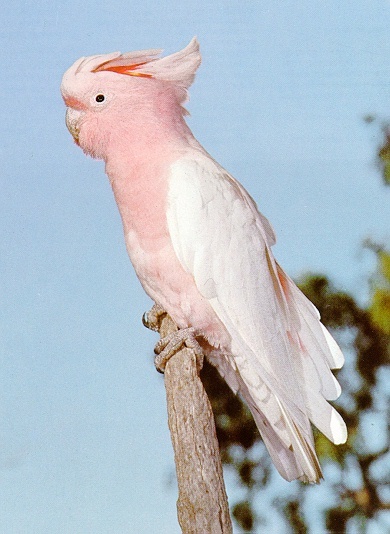 DDS - Sysops' Pets - Birds! 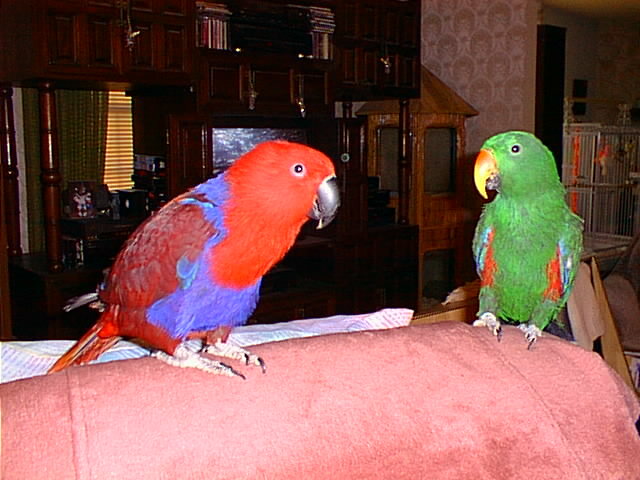 DDS - Sysops' Pet Birds! Click on any image to view full size and please allow time to load. 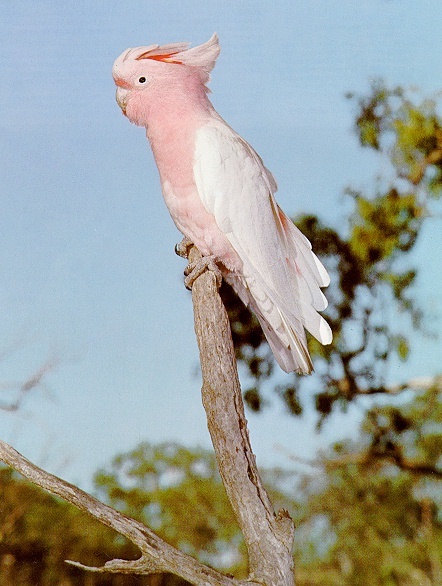 Marty Barel of the Wrinkles and Feathers BBS has some gorgeous birds! 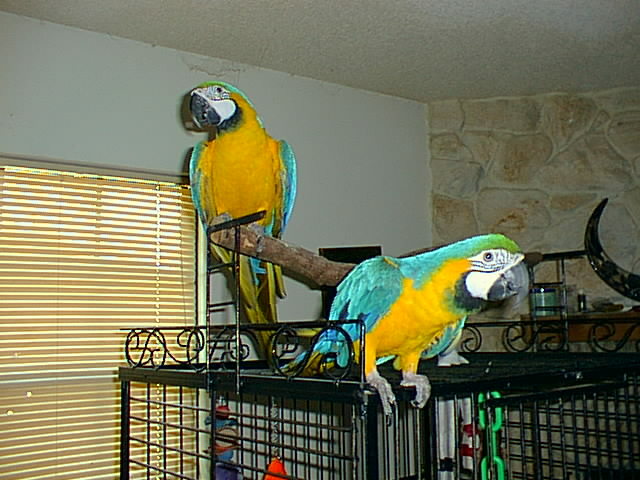 On the left are his two Macaws, Blue and Goldie. 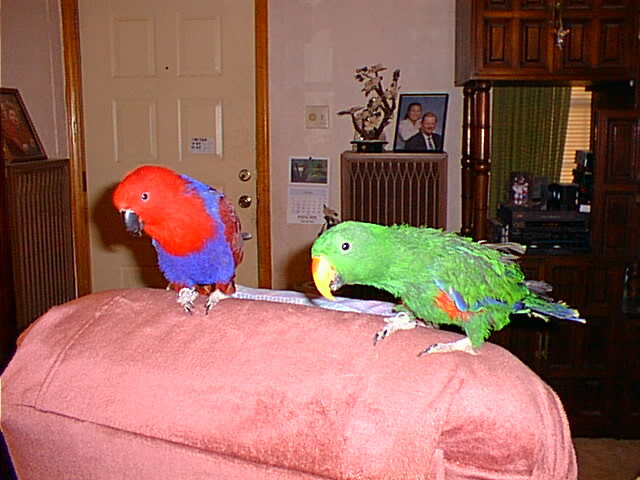 On the right and below are photos of his male Red Sided Eclectus, Baby, (the green one for novices) and his female Red Sided Eclectus, Miss Piggy. Click on Images for Full Size! Don't miss them!